As you’ve read our previous blog post (If you haven’t, please do. We discuss some very insightful haircare basics) we want you to know the basics about your hair texture and how to efficiently care for it. Relaxers are an option many women today struggle. At Mane Results Salon, we welcome natural and relaxed hair guests. We are here to guide you while offering you the best haircare advice. When it comes to haircare options, there’s no “one size fits all”. With that being said, relaxers aren’t for everyone or every hair texture. But if you do wear relaxers or are contemplating if you should, there are some things we think you should know about the nature of them. So what is the main component in a relaxer? Most store brought relaxers contain calcium hydroxide which is the chemical that relaxes the hair. This chemical is not preferred by most salon professionals. It creates a calcium buildup on the hair and does not seal the cuticle well. Calcium makes our bones hard so what affect do you think it’ll have on your hair? Exactly, you’re left with hard dry brittle hair. Because the cuticle is never fully sealed, there’s the risk of over-processing the hair. By the time you relax it again, the previously relaxed hair is usually bushy. So what do you do? Although the chemical won’t relax the cuticle any further, you apply the relaxer to the previously relaxed hair. This becomes a repeated cycle. Then you wonder why your hair is dry and brittle prior to breaking. 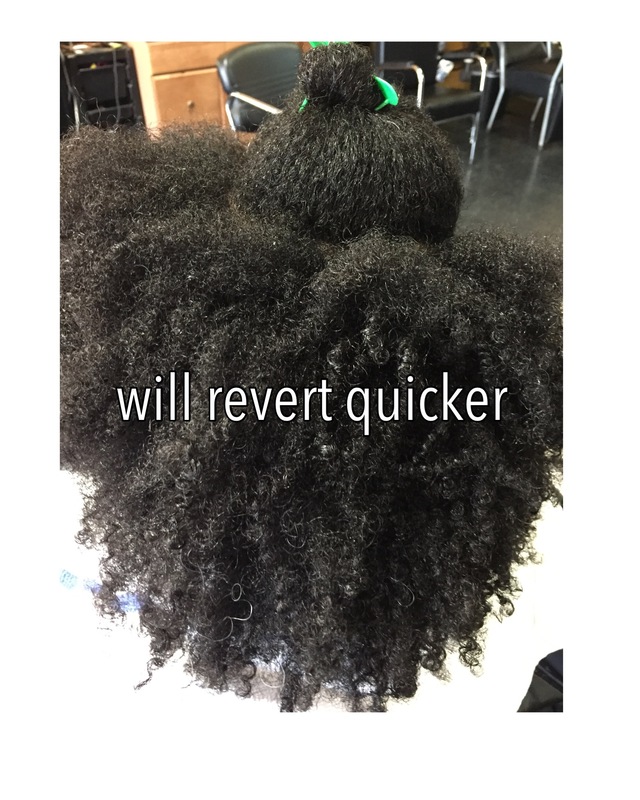 Now this is not to say this is the case with all hair types that receive these type of calcium based relaxers. I have seen cases over the years of women that have used calcium based relaxers and their hair is fine. But I will admit it’s been very few. Most of us as salon professionals opt for sodium hydroxide based relaxers. We tend to have more flexibility with how far to straighten the hair. Straighter isn’t always better. But that’ll come with a later blog. Sodium hydroxide relaxers will seal the cuticle causing the hair to remain in a longer lasting relaxed state. Because there isn’t any calcium in the product, the hair isn’t left hard, and the texture is softened. So what does a relaxer really do? Simply put it rearranges bonds within the cuticle. 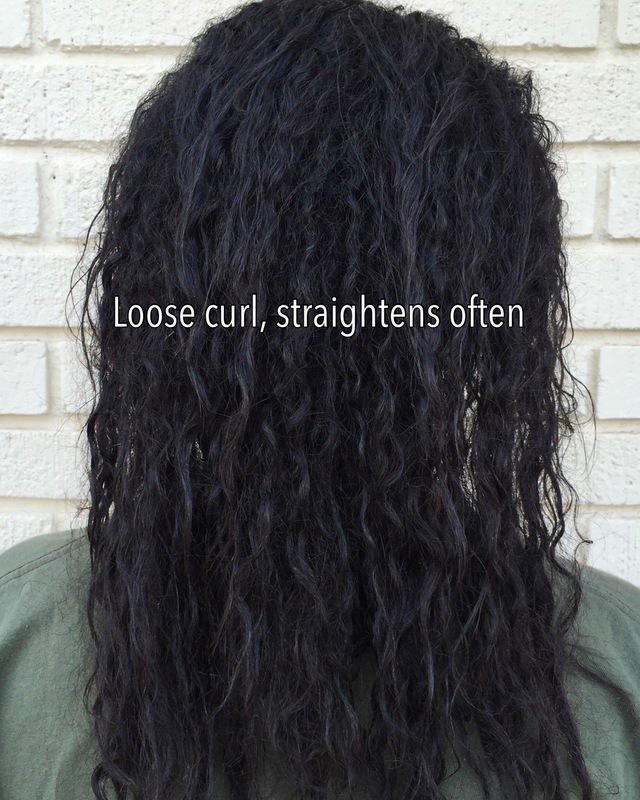 This causes the hair to be repositioned into a straighter state. I like to use my phone cord analogy. You know the old school spiral phone cords. If you were born after the 90’s you’re probably not aware there was a thing called a land line. All others clearly know I’m talking about, lol. Anyhow, when the phone receiver is on the phone base, this represents your hair in its natural state without any relaxer. When the phone is answered (or the receiver is stretched away from the phone base) represents the hair’s natural texture and it’s elasticity. When relaxer is applied, it causes the elasticity to be broken down. The further the cord is stretched away from the phone base, the straighter the cord becomes. The longer the relaxer is left on the hair, the more the elasticity is broken down causing the hair to become straighter. If the phone cord becomes stretched away from the phone base too much, it will eventually break. If the relaxer if left on the hair too long, the hair will begin to break. Contrary to most women’s belief, relaxers aren’t meant to straighten the hair. They are simply meant to assist with manageability. If you feel like your hair is damaged due to improper relaxing, the relaxer itself, or if you’re considering getting a relaxer, please visit your local salon. Self diagnosing is never encouraged. Your hair will thank you in the long run.